Pia Hontiveros has been featured by CNN Philippines Life — the lifestyle and entertainment component of the local CNN station — recently to talk about social media and the challenges faced by journalists in this post-truth era. 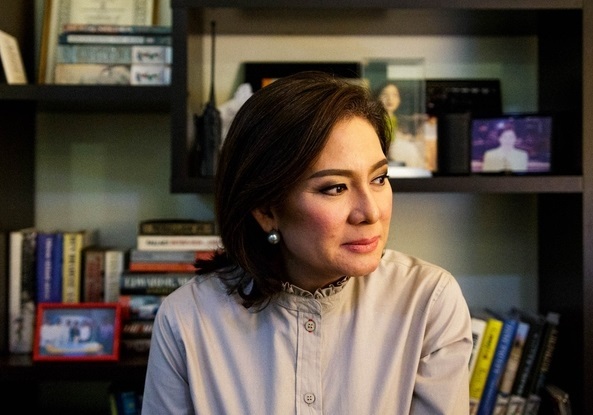 Hontiveros, who is the chief correspondent for CNN Philippines, admitted that while social media has a lot of things to offer, she didn’t really feel obligated to join every platform. "It’s more like I’m glad I’m there. I’m not just on social media because I want to keep track of people and events because I’m a journalist," she said. "I’m there because if you look at what I follow on Twitter and Instagram, I follow a lot of design accounts. I love design, arts, and music. I love the performing arts. I love designing the interiors of our own home." The News Night anchor also said that they don't just necessarily get their news from social media, and they vet every story before deciding to air it on her nightly broadcast. "We see it, we verify it first. We call the authorities, or if there is a team near the area — [we tell it] to go check this, confirm, call whatever authority," she said. When asked about the "existential crisis" facing journalism today, Hontiveros said that "the only defense we’ll have is if we do our work well." "Doing your work well means being fair, being balanced, bracketing, listening well, asking good questions, asking fair questions," she said. "Just keep doing that every single day. Just keep doing good journalism every single day. And no matter what anybody says — as long as at the end of the day, you’ve done good journalism — do it every day."